Here’s a look at the demographics of the 85th Legislature by lawmakers’ race, gender, age, education and religion. 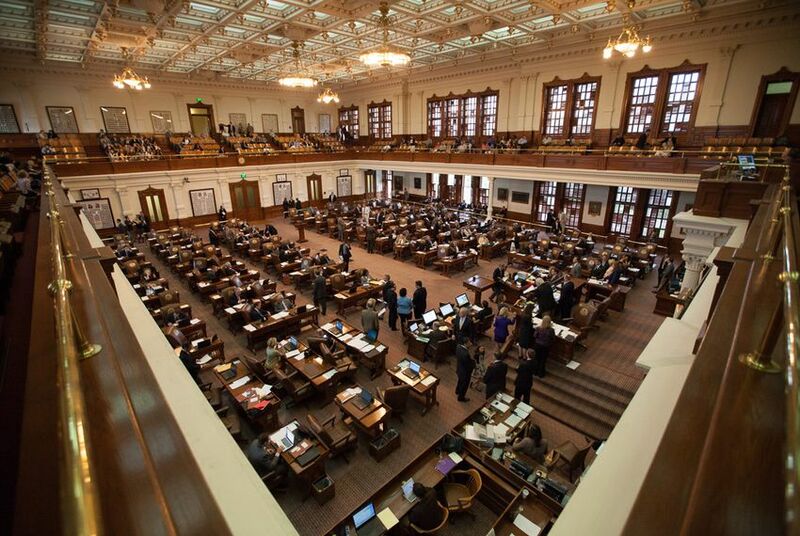 The members of the Texas Legislature may be elected to represent all corners of the state, but they’re not necessarily reflective of it. White lawmakers make up almost two-thirds of the Legislature, but only 43 percent of the state population is white. Men make up half of the state’s population but hold almost 80 percent of the Legislature's seats. Just about any way you slice the numbers, the makeup of the Legislature is at odds with that of the state. Texas has long been a majority-minority state, but the Legislature as a whole is far more white than the state’s overall population. And there are stark differences between the two political parties when it comes to racial diversity. Following an election that dealt some setbacks to the GOP’s modest diversity, only five of the 115 Republicans in the Legislature are people of color, and they all hold seats in the House. Meanwhile, the number of white Democrats continues to fall, down to six this legislative session. Little has changed when it comes to gender parity under the Pink Dome. Just one in five lawmakers is a woman, even though they make up half of the state’s population. On party lines, Republican women are largely outnumbered. There’s a 46-year difference in age between the youngest and oldest members of the Legislature. But senior citizens are the only age group whose share in the Legislature is equivalent to their overall share of the state's population of adults 20 and older. Meanwhile, younger Texans are least represented. The educational level among members of the Legislature doesn’t align with the state’s breakdown, either. Only 10 percent of Texans 25 and older have a postgraduate education. But in the Legislature — where one in three lawmakers is an attorney — more than half have postgraduate degrees. A comprehensive breakdown of religious affiliation at the state level isn’t available. But a survey of Texas lawmakers found a vast majority practicing some form of Christianity, with more identifying as Catholics than as any other denomination, and three identifying as Jewish.